Five Presidents were the sons of their fathers’ second marriages. They were George Washington, Franklin Pierce, Benjamin Harrison, William Howard Taft, and Franklin Delano Roosevelt. One President, William Jefferson Clinton, was the son of his father’s fifth marriage. 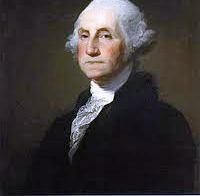 George Washington was the son of his father's second marriage. 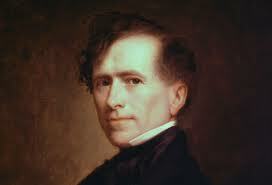 Franklin Pierce, son of his father's second marriage. 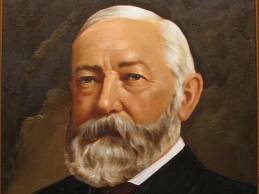 Benjamin Harrison, son of his father's second marriage. Bill Clinton was the son of his father's fifth marriage. The fathers of eleven Presidents remarried. Five of them remarried after the birth of their President-sons. Millard Fillmore was 31 years and 114 day old when his mother, Phoebe Millard Fillmore, died on May 2, 1831. His father remarried Eunice Love on May 2, 1834. Abraham Lincoln was 9 years and 235 days old when his mother, Nancy Hanks Lincoln, died on October 5, 1818. His father married Sarah Bush Johnston on December 2, 1819. Warren Gamaliel Harding was 44 years and 198 days old when his mother, Phoebe Elizabeth Dickerson Harding, died on May 20, 1910. His father married Eudora Adella Kelley Luvisi on November 23, 1911; was divorced from her in 1916; and married Mary Alice Severns on August 11, 1921. Calvin Coolidge was 12 years and 253 days old when his mother, Victoria Josephine Moor Coolidge, died on March 14, 1885. His father married Caroline A. Brown on September 9, 1891. Gerald Rudolph Ford was 2 years old when his father, Leslie Lynch King, and his mother, Dorothy Ayer Gardner King were divorced, in 1915. His father married Margaret Atwood on January 5, 1919. Ford remained with his mother, who married Gerald Rudolff Ford on February 1, 1916.